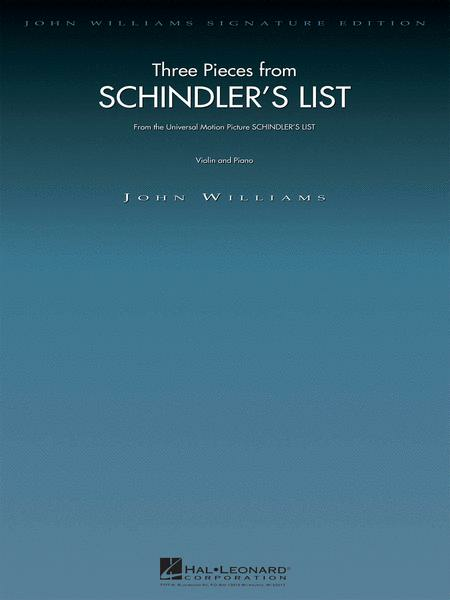 Contents: Theme from Schindler's List * Jewish Town * Remembrances. 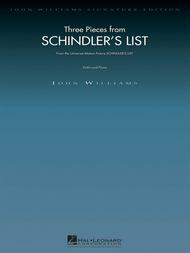 Preview: Three Pieces From "Schindler's List"
Very beautiful. Not for beginners, but certainly could be used for auditions or concerts. The piano accompaniment is also nicely arranged. 33 of 62 people found this review helpful. A beautiful piece of music. Any violinist should own this piece of music. It's one of those pieces ideal for a duet performance. 45 of 84 people found this review helpful. Having played this as an orchestral version I just had to have it as violin and piano. Very evocative- not too hard to play as the music just carries you along! 56 of 108 people found this review helpful. Ever since i saw the move i was spellbound to this song, i saved up all my money to buy this book. When i rescived it i was completed satisfide with it. A wonderful investment. Recomended to all. John Williams and Itztak Perlman are pure genius. 64 of 137 people found this review helpful.